The Greater Mekong Subregion (GMS) Tourism Infrastructure for Inclusive Growth Project (TIIGP) in Lao PDR will remove physical and capacity constraints impeding tourism development in Champassak, Khammouane, Luangprabang, and Oudomxay four provinces situated astride the GMS Central Corridor. 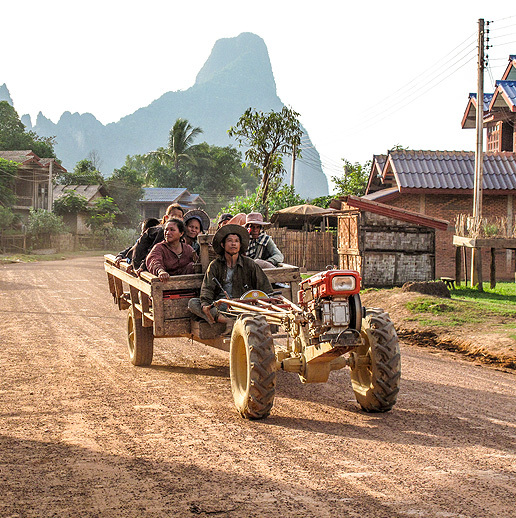 It will contribute to the creation of 27,000 tourism-related jobs in the Lao PDR by: (i) paving 70 kilometers (km) of rural roads to open new areas for private tourism investment and improve access to markets and social services for 15,000 people; (ii) improving environmental services in areas important for cross-border tourism to reduce public health hazards for 35,000 residents and 2.4 million annual visitors, beginning in 2019; and (iii) building institutional capacity to promote inclusive tourism growth along with facilitating business support services for at least 500 small and medium-sized tourism related enterprises. The project will also strengthen regional cooperation and integration by implementing regional tourism standards, promoting multicountry tour circuits, and supporting structured policy dialogue to reduce nonphysical barriers to travel. The project duration is five years, from 2015 to 2019.